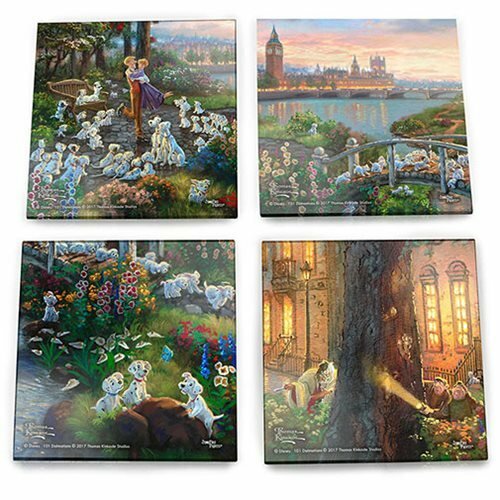 Relive the classic Walt Disney movie 101 Dalmatians and bring home this unique Thomas Kinkade collectible! Thomas Kinkade, the Painter of Light, emphasized simple pleasures and inspirational messages through his art. 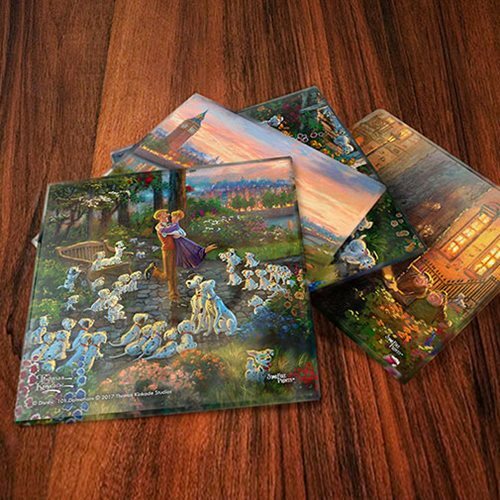 The 101 Dalmatians Thomas Kinkade Starfire Prints Glass Coaster Set features beautiful images of everyone's favorite characters from 101 Dalmatians. 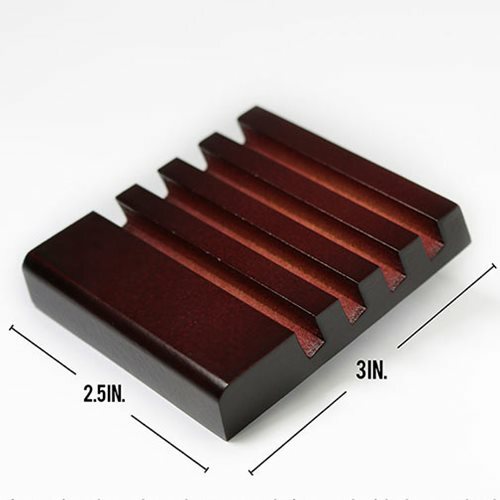 Each 4-inch square coaster is translucent yet vibrant with color, and is crafted to offer lasting durability. Made of high-quality glass with soft pads underneath to protect surfaces, the set includes a stylish holder for easy storage. Hand wash only. Not dishwasher safe. StarFire Prints glass coasters are photographic-quality prints on translucent glass. Featuring artwork from your favorite movies, these prints are an elegant way to display your fandom to the world. 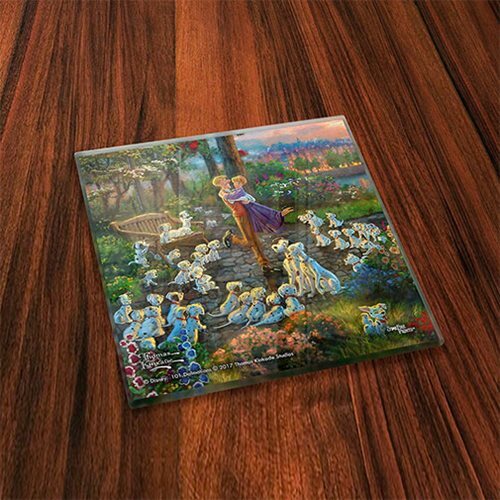 The images are permanently fused into the glass, resulting in a semi-translucent print that captures the natural light, enhancing the color display and making each image a true piece of art.